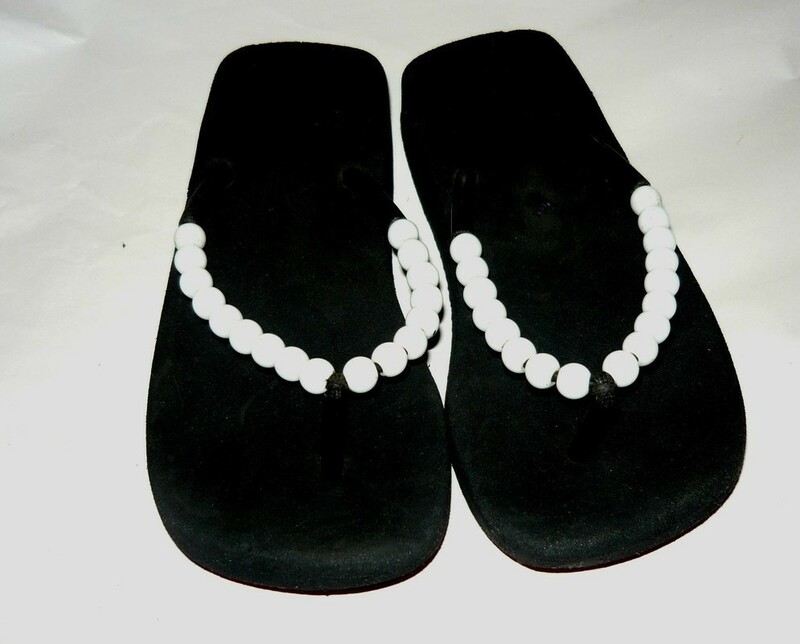 Home » LulusFiveandTen » Girls White Beaded Black Thong Sandals Sz. Sm. Girls White Beaded Black Thong Sandals Sz. Sm.